Last week's Gamecity festival in Nottingham had a strong Zelda focus, with the city centre becoming a replica Hyrule Town for the day, but we've got something much smaller and even more awesome to share. 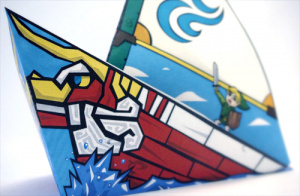 This origami replica of Link on board the King of Red Lions from The Legend of Zelda: The Wind Waker is just about the coolest thing we've seen in a long time. Depending on which side you view the boat from, you either see Link's front or back: now that's detail. If you fancy having a go yourself, check out Games Designed for the full print out and instructions, and show us how your creations turn out. That looks pretty cool! 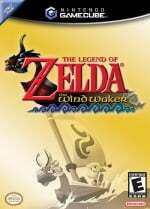 Those Windwaker screenshots really bring back memories. Isn't one of the rules of Origami that you're not supposed to paint the paper? OH. MY. GOD. I have to make this! I only need to figure out how. printing out and making RIGHT NOW!!!!!!! 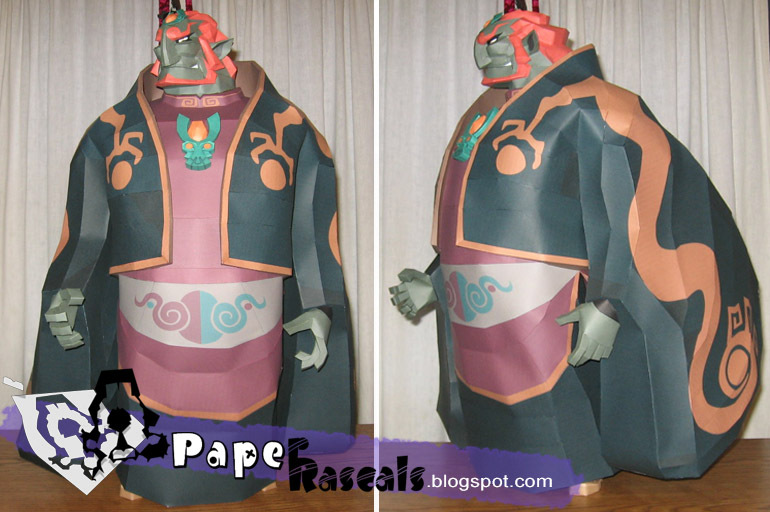 The papercraft looks really awesome too!! So who's made this? What does it look like? I want to see! I made it and it looks like the screenshot. I made it, looks pretty snazzy!